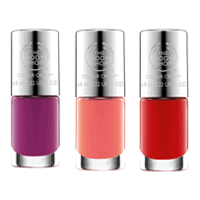 Head over to VoucherCloud website and get a free voucher to claim free BodyShop Colour Crush™ Nail Varnish. Just create a free account to get your unique code and take it to the nearest counter to claim the nail varnish of your choice for free. Click on “GET IT HERE” button and then click on Get Code button to generate your code to claim this freebie.